John Frederick McGrady, age 69, passed away peacefully to be with our heavenly father on September 6th, 2018 after a sudden short illness. He was born in Frankfurt, Germany on September 29th, 1948 to Irena M. Peelearts and Gale Charles McGrady who was stationed in Germany after serving in World War II and had married Irena after helping liberate Herentals, Belgium. John travelled with his parents extensively during his fathers USAF military service including Belgium, Europe, Nevada, Massascussetts, Charleston, South Carolina, Chateauroux, France, Austin Texas, Goose Bay Labrador, Newfoundland, and settled in Washington State for years before making Honolulu, Hawaii his permanent home. He graduated high school as Valedictorian of Goose Bay Labrador in 1966. He was captain of the basketball team and was very active in all aspects of the Catholic church. He was very creative and always interested in sailing and ocean life throughout his childhood. He attended the University of Washington and graduated with an undegraduate degree in Zoology and was one of few accepted to their dental program. He graduated University of Washington with a doctorate degree in dentistry. He was professionally licensed and and practiced dentistry in Burton, Vashon Island, serving the community for many years. 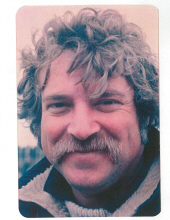 During this time, he pursued his love of scuba diving, hiking Mount Rainier and boating the Puget Sound. He had many close lifelong friends and was beloved by all including his closest lifelong friend, Douglass Hart. His mother being an accomplished pianist and music teacher throughout his life encouraged his pursuit of his love of all types of music. He played guitar, harmonica, piano and other instruments; he composed and played music with a band formed with close friends while in college; they continued playing throughout his time in Washington State. His daughter, Rain Julie McGrady was born during this time to him and his wife Linda Anne Curley-McGrady. His life was then sparked with the ocean and adventure. He purchased a 30 foot sailboat, the "Querencia",and harbored it in Tacoma, Washington while preparing for a voyage to Hawaii. He set sail from Tacoma and sailed down the Oregon Coast where he survived a major off coast storm and landed in San Diego, California. He again set sail and again encountered a major storm and was lost at sea for weeks before drifting onto shore at Bora Bora in the South Pacific. He then sailed to Honolulu, Hawaii when he fell in love with the Hawaiian Islands and culture. He wrote a book about this adventure called, "Sailing the Dream." It is avaliable at Amazon.com. He then founded the company Coconut Info and began writing computer software to translate the authentic Hawaiian language and folklore called, "Click Hawaiian." This program was purchased and adopted into some Hawaiian schools, K-12. He continued marketing his various programs. His computer software programming skills were all self-taught. He then became an Apple computer representative and consultant. He is survived by his mother, Irena M. Peelearts, sister Gale S. McGrady-Cardwell and her husband Frank, his beloved daughter Rain Julie McGrady and grandchildren, beloved nephews Justin and Paul Cardwell and their four children; beloved cousins Hilde, Geert, Jan and Chris Peelearts and their children all of Belgium. He was preceeded in death by his father Gale C. McGrady who died a military service-related death, Rain's mother Linda Anne-Curley. Private services include his father's resting place in Washington State; the spreading of his ashes by very close friends Sherwinn Shinn and Doug Hart at his beloved spot to hike to on Mount Rainier; and spreading of ashes by a dear friend Mark Olsen, at his beloved swimming and surfing spot "Tonggs" out on the reef at Diamond Head. John will be truly missed by his friends and family. We love you John with all our hearts. To send flowers or a remembrance gift to the family of John Frederick McGrady, please visit our Tribute Store. "Email Address" would like to share the life celebration of John Frederick McGrady. Click on the "link" to go to share a favorite memory or leave a condolence message for the family.